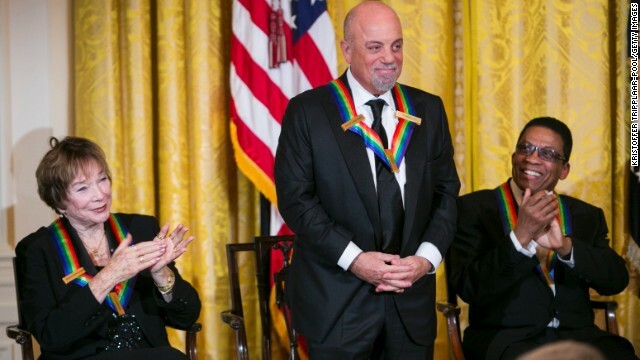 Washington mixed with the world of arts Sunday night at the 36th annual Kennedy Center Honors, which recognizes artists from the stage, screen and radio. President Barack Obama hosted the five honorees at the White House for a reception before attending the event at the Kennedy Center, which is set to air December 29 on CBS. The honorees were opera singer Martina Arroyo, actress Shirley MacLaine and musicians Herbie Hancock, Carlos Santana and Billy Joel. I was Shirley MacLaine in another life.